Your Bridesmaids will most likely be a very important part of your big day. They therefore deserve to look their best at your wedding. There is an art to choosing a good bridesmaid hair and makeup style. It usually has to suit a range of people and therefore keeping their hair and makeup style the same or similar can be a nice way of unifying the bridesmaids. Many bridesmaids will have their own ides on what suits them, so it can be good ahead of the big day to discuss what they like the idea of doing and hopefully as with their dresses they can come to an agreement for their hair and makeup. If they have varied lengths of hair you may want to consider this when choosing the style and it may guide you to a certain look. often, an updo or something with a plait can work well for the bridesmaids. With your bridesmaids, you will want to keep their makeup looks as similar as possible, so why not choose the same eyeshadow and lipstick colour for all of your group and then give them a little leeway on how heavy or light they might want to go with their eyeliner or lashes. 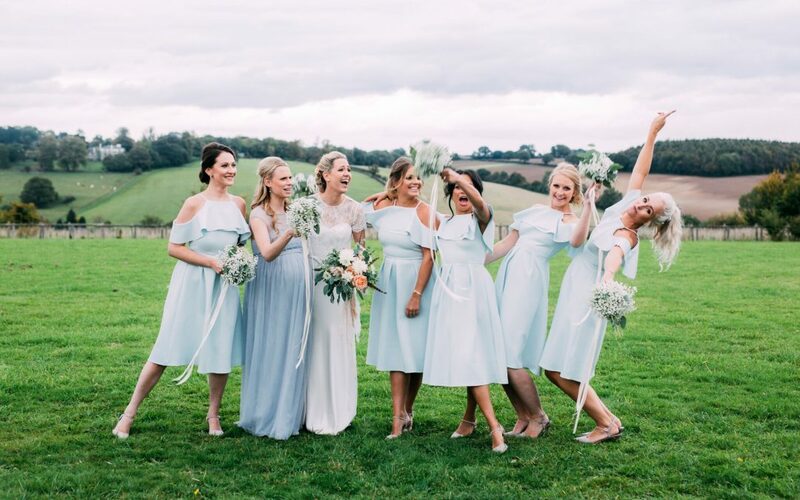 Whatever you decide for the bridesmaids, it is good to choose a long-wearing style so that they can party on into the evening without needing to worry about retouching.